This is my last print of 2014. It is a 12″ round double sided print for the exchange portfolio titled Vinyl to be shown at Southern Graphics International Conference in Knoxville, TN come March. 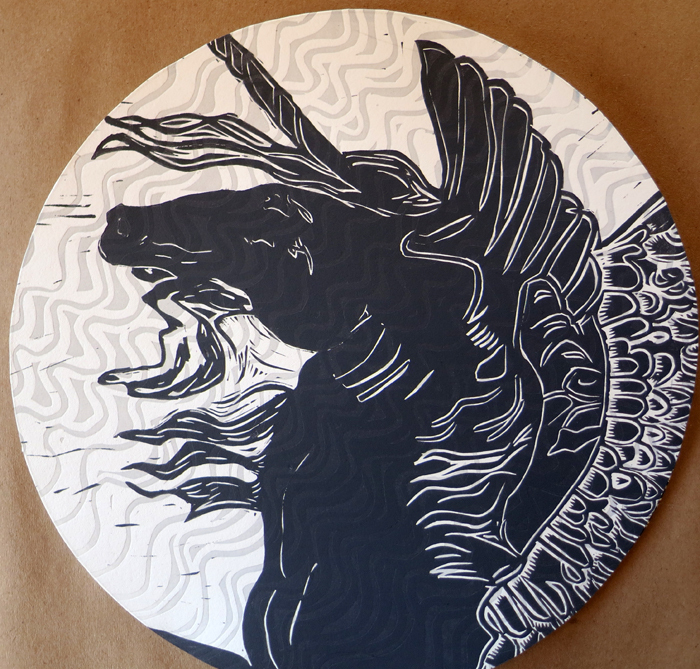 The subject of the portfolio with 27 artists, celebrates vinyl records. Knoxville is a great music city inside of a great music state of TN. Artists pulled from some of the music history of Knoxville or their personal relationship with vinyl. Mine, well, let’s just say I took a lot of leeway. But the title, “From my Victrola” is the real deal. I spent my childhood in my grandmothers second floor bedroom listening to 78’s on her Victrola while dressing up in 1930’s clothes. What does that have to do with this? Well who knows but it informed my relationship to music. 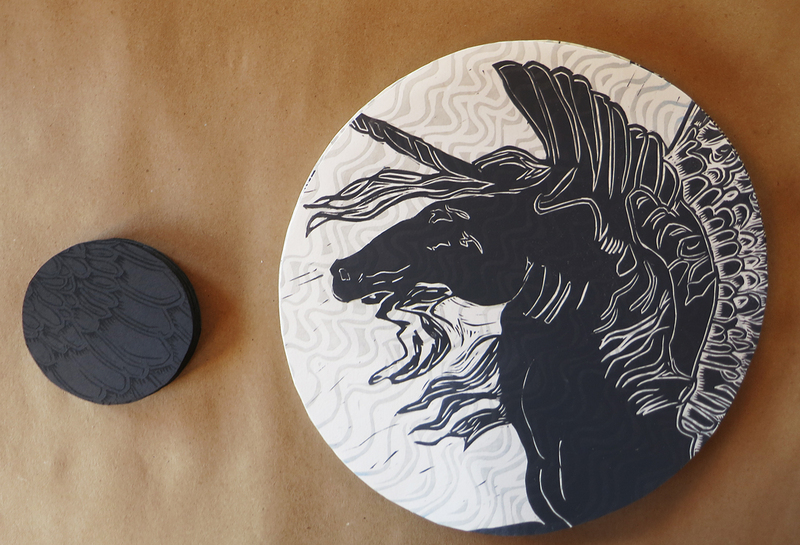 For the rest of 2014 I will be glueing this round black paper circle that was printed with the Pegasus wings onto the back of the paper. It will then be complete and shipped out. P.S. None of these prints are available, however beginning January 1, I am launching 30 prints in 30 days, where I will carve and print a new piece each day and sell from for only $20. Stay tuned.